Did you know that as many as four million Americans suffer from dry eyes and dry mouth? Did you also know this common disorder affects mostly people over the age of 50? And it has a very scary sounding name — Sjogren's Syndrome. But there's no reason to be afraid of this, as there's a very simple treatment for it — and you may have it sitting in your kitchen. Most doctors consider Sjogren's Syndrome an autoimmune disease. It is often a secondary problem to other inflammatory processes. In Sjogren's specifically, inflammatory cells accumulate in tear and saliva glands. 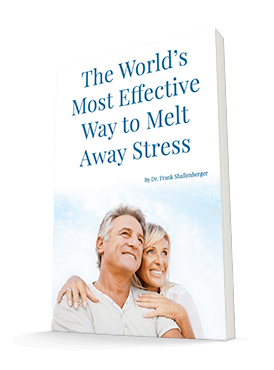 The resulting inflammation can destroy your normal cells. In my view, your own cells aren't really under attack. The immune cells sense something else there and your normal cells are innocent bystanders in the war. Wouldn't it be great to find something to tone down the inflammation? Well, there is. Researchers recently developed a line of mice that enabled them to study this disease. They gave the non-obese, diabetic mice either water or water containing 0.2% EGCG. ECGC is a prime bioflavonoid in green tea. Then they examined their salivary glands at the age of 8, 16, and 22 weeks. As expected, lymphocytes infiltrated the glands of the water-fed group at the age of 16 weeks. This caused inflammation. The EGCG group showed reduced lymphocyte infiltration. By 22 weeks of age, water-fed animals suffered higher levels of cell death in the glands, and other detrimental effects. In the EGCG-fed animals, the cell death and other detrimental effects were substantially reduced. Animals that drank only water, suffered elevated levels of toxic antibodies toward their salivary glands. The ECGC fed mice had levels similar to healthy control mice. This is good news for a real problem. And it makes great sense. I've told you that bioflavonoids are tremendous immune boosters and inflammation suppressors. Curcumin from turmeric, Seanol (Alginol), and resveratrol are among my favorites. I've suggested that there are certain of these plant chemicals that do more for certain tissues than others. For example, the flavonoids in blueberries are terrific protectors of your retina. It seems here that the flavonoids from green tea might be a specific protector of salivary glands. I've talked a lot about green tea in these "pages." Advanced Bionutritionals is now carrying a great green tea extract. So instead of drinking several cups of green tea a day, a supplement makes it easy to try this approach for Sjogren's. Consider taking two to three capsules daily of Advanced Bionutritionals Green Tea Extract. Ref: Gillespie K, Kodani I, Dickinson DP, Ogbureke KU, Camba AM, Wu M, Looney S, Chu TC, Qin H, Bisch F, Sharawy M, Schuster GS, Hsu SD. Effects of oral consumption of the green tea polyphenol EGCG in a murine model for human Sjogren's syndrome, an autoimmune disease. Life Sci. 2008 Sep 6. Published online ahead of print.